GPS Tracking Canada's Fleet Management Services keeps meticulous records of your individual vehicle activity, making it easy to provide accurate and detailed billing and invoicing. Correcting just two inaccurate invoices a day can save more than 1,300 hours of staff time a month. Reducing the number of uncollected or disputed payments saves you thousands of dollars each year in lost revenue. The information that service and delivery companies provide to bill customers must be accurate and timely. Inaccurate billing costs money to pay for staff and operations time, it irritates customers and may even result in reduced collections and payments. Our advanced fleet management services allow you to collect, maintain and report the information you need, in an easy-to-use and customizable format, to generate accurate and timely invoices. * Track vehicle stops and starts - verify work tickets and validate drive time logs to capture total job expenses. * Monitor vehicle locations – capture arrival time and departure to determine actual time on job. * Track driver trends – measure field and hourly worker productivity and know when each vehicle first started and when it ended each day. * Integrate applications – integrate with financial systems applications for seamless data coordination. * Data storage – archive fleet activity data and retrieve billing data when you need it. With GPS Tracking Canada's Fleet Management services, you can provide the exact date and time your vehicles visited a particular location, making accurate billing easy. Web services make integration with your financial software easy. Take the guesswork out of your bookkeeping and relieve your drivers of the burden of manually logging their stops during the day with GPS Tracking Canada's Fleet Management services. 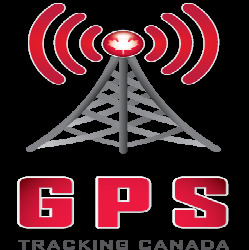 Learn how GPS Tracking Canada's Fleet Management Services can work for you. Talk to a fleet management specialist.